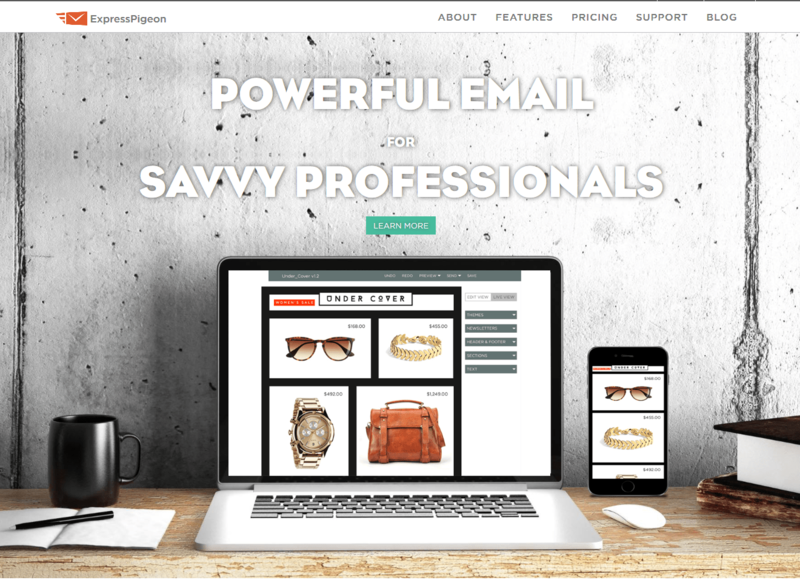 ExpressPigeon is an intelligent and simple email marketing program, so easy to use that fits perfectly for anyone who doesn’t have a strong understanding of design and who doesn’t want to code HTML to build emails. The learning curve on using this email service is really minutes, and also, the beginners can immediately create unique and customized designs without being limited to templates. ExpressPigeon give users powerful tools like a simple yet useful drag-and-drop responsive email creator, customer segmentation and personalization, automation, A/B testing, a powerful API, sign-up forms, campaign reporting, RSS-to-email integration, unlimited media storage space for uploading photos and the astonishing ability to set a custom delivery time for each subscriber. Also the customer support is prompt and kind: even if you can reach them via email only, the tech team always answer you in minutes. ExpressPigeon offers a lot of pricing plans, but the most interesting thing is that its “free for life” plan (that allows you to send up to 1,000 emails per month to at least 500 contacts) has exactly the same features of the pricing ones. The service is extremely user-friendly, providing an intuitive UI free from any clutter or confusion, and its very powerful tools cover all areas of the email marketing needs and is affordable priced too.